Matthew Vaughn is returning to write and direct Kingsman 3, which will hit theaters on November 8th, 2019. The director/writer has been talking about the third installment for quite a while now and it has been heavily rumored that he wants to film the new movie at the same time as a prequel. However, there was no announcements about the prequel idea today, so that plan may have been scrapped for the time being. With that being said, Kingsman 3 will need to start filming soon to get ready for its late 2019 release date. Jane Goldman and Matthew Vaughan have been hard at work on the Kingsman 3 script for months and have apparently come up with something that they are satisfied with. For now, the third installment is untitled, but an official title will be announced within the coming months. Fans can rest easy in knowing that the movie is happening and coming out sooner than many expected. It’s believed that filming will begin in January of 2019, but that has yet to be confirmed at this time. While Matthew Vaughan was writing Kingsman 2, he already had the basic ideas for the third movie in his head. The idea of Kingsman 3 was put on hold until they were able to see how the second movie performed at the box office. From the outside, it seemed that the third film was always going to happen, but Vaughan had his doubts at the beginning. The director considers the second movie to be a proper bridge to Kingsman 3 and admits that there are some pretty “big ideas” in it. Other than that, Vaughan has been pretty tight-lipped about what will happen in the third act. 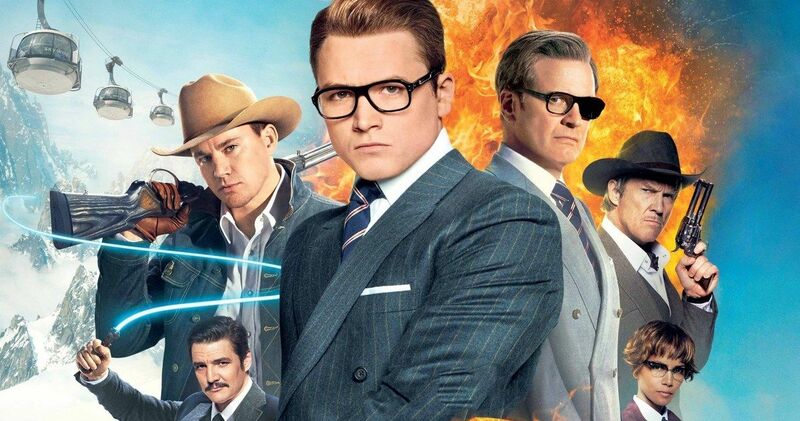 Obviously, the plot for Kingsman 3 is being kept a secret for now, but it will certainly deal with the storyline between Taron Eggerton’s Eggsy and Colin Firth’s Harry. It has also been previously reported that there will be some new additions to the cast this time around. A young teenager named Conrad is one of said characters, and he is the son of a British Duke who is looking to serve his country. The studio is also looking at casting an older male in a leading role with eyes on Ralph Fiennes play the part. Kingsman 3 will close out the “Eggsy Trilogy” and knowing how the franchise works from previous films, it’s going to have some pretty epic spy gadgets and will probably make a ton of cash at the box office. Casting news and an official production start date are expected to be announced soon and Matthew Vaughan will have to give an update on the status of the prequel that he has in the works as well. For now, at least there’s an official release date from the studio. The Kingsman 3 news was first announced by the Exhibitor Relations Twitter account.